Fox News hit a 12-year low in a key demographic this month, but viewership for all of the cable news channels is down, and the viewers who are left are getting older. Much older. Do these numbers signal a shift in the cable news marketplace? Is the end of cable news networks near? Could it be because the news outlets seem to have stopped covering news and instead are obsessed with one or two topics to the exclusion of all else? For awhile it seemed like the only thing you heard on CNN was the missing airliner, on Fox News it was Benghazi, Benghazi, Benghazi, and on MSNBC it was Chris Christie’s bridge scandal. Lost in all that hyper coverage was actual news reporting. Read more about Fox News’ May ratings from Huffington Post here. Read more about declining viewership for all cable news from the New York Times here. Godzilla: much big time monster monster monster karate death train stomp stomp fun boom. This new iteration of the 60 year old giant radioactive lizard is a summer blockbuster done right. The secret is that director Gareth Edwards seems to be a big fan of Steven Spielberg, and he gets what made Spielberg’s summer blockbusters so good — pacing. This is what so many other CGI spectaculars lack. There’s a build up, so that by the time we get to the final battle, it feels like we journeyed there, not that we’ve been beaten down for 2 hours until our skulls are bloody pulp. That said, there’s plenty of CGI destruction — but all done, from the effects to the music, with knowing nods to the old 50s giant monster movies. It’s well worth the ticket price to see in 3D, and it’s a massive amount of fun. 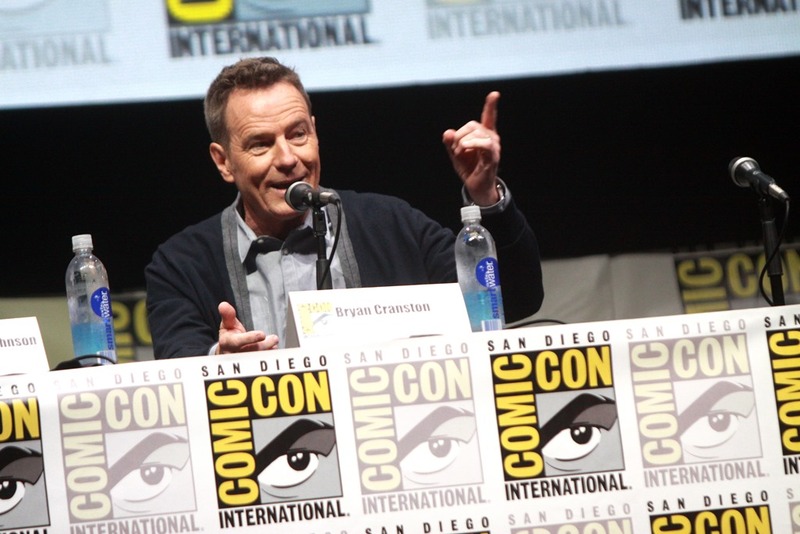 Plus, there’s Bryan Cranston, who is the one who knocks. And has to lock his wife behind a radioactive blast door. 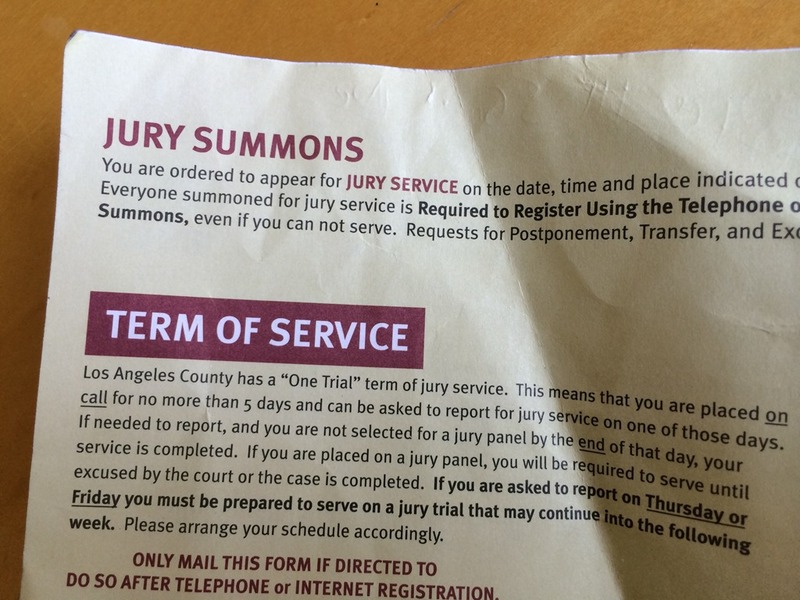 The second we see the jury summons envelope in the mailbox, most of us start figuring out how to get out of service. It’s an annoyance. It’s a hassle. If you get chosen, it could take a week or two, maybe even more, out of your busy schedule. But it’s also our civic duty, and it’s a hallmark of one of our most basic freedoms — an independent judiciary that depends on the voices and the wisdom of the people to decide cases. I was quite impressed with the judge and the lawyers, who were all good people and who all did their jobs very well. It increased my appreciation of our system which, as clogged as it is, as many faults at it can have, still works. It was fascinating to watch it work up close and in person, and once again be reminded of why lawyers hate lawyer TV shows — because it’s really nothing like what’s shown on the screen. It can be aggravatingly slow, but only because it’s painstakingly methodical, logical, and follows a process that’s built to ensure that each side is fairly heard, fairly represented, and gets a fair shake from a jury of one’s peers. And hey, I got to eat lunch downtown for a few days.